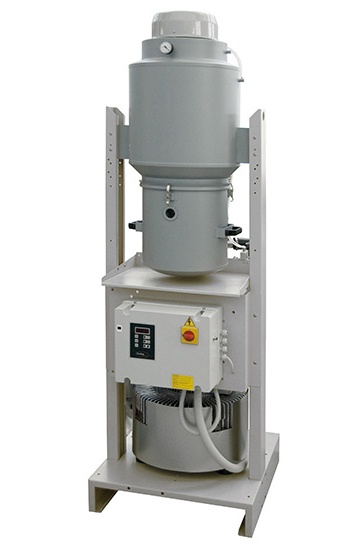 The suction units of the PD series with powers from 1,1 to 15 kW are used in pneumatic conveying systems for throughput up to 3000 kg/h and distances up to 150m. • Side-channel blowers from 1 to 3 stages. 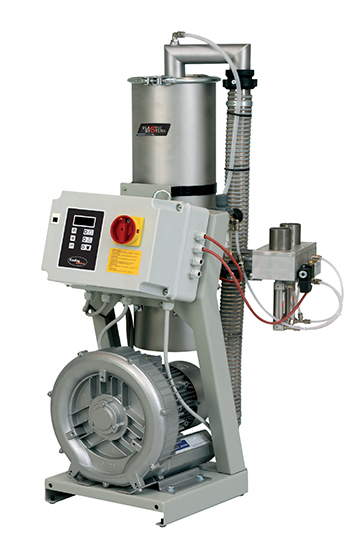 • Self-cleaning filters with polyester cartridges and dust-collection bin. The suction units are available for two loading receivers.